See more objects with the tag ceramics, display, dining, floral, coffee/tea drinking, delicate, white porcelain. See more objects with the color darkgrey rosybrown dimgrey grey or see all the colors for this object. This is a Sugar bowl, lid, and tray. 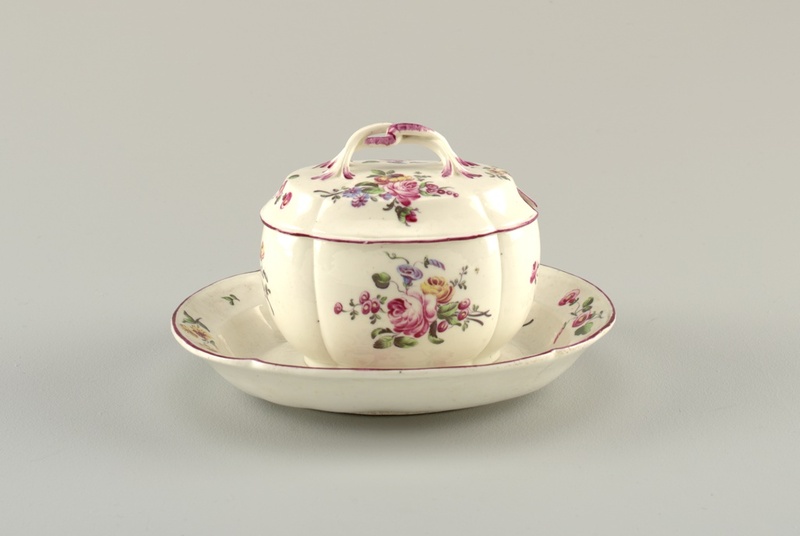 It was manufactured by Mennecy porcelain factory. We acquired it in 1977. 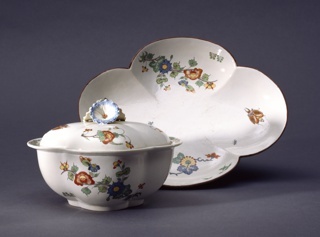 Its medium is glazed soft-paste porcelain, hand-painted enamel. It is a part of the Product Design and Decorative Arts department. This object was donated by Mrs. John Jay Ide.